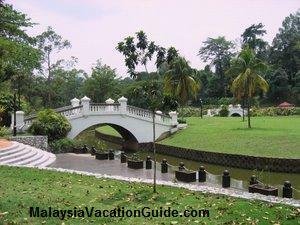 Located in Shah Alam, Malaysia's first agriculture park was opened to the public since 1986. 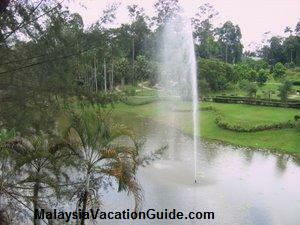 It was previously known as "Taman Cahaya Seri Alam Agriculture Park" but is now known as Taman Botani Negara or National Botanical Garden. 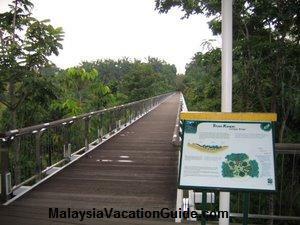 The 1,295 hectare of tropical rain forest and agriculture park is one of the largest in the world. Visitors come here to explore the many agricultural plants that are grown here. 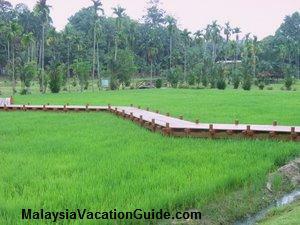 Paddy field is found here, so are cocoa trees, oil palm, rubber trees, coffee, coconut and other fruit trees. There are many gardens in this park among which are the Animal Park, Spice Garden, Ornamental Garden, Orchid Garden, Cactus Garden, Bamboo Garden and Mushroom Garden. Bicycles are available for rent at the park while free bus service is provided to ferry visitors to various spots within the park. 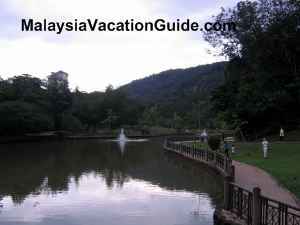 If you like fishing, there are lakes within the park that you can fish for a fee of RM2 per fishing rod. The best way to enjoy this park is by renting a bicycle or taking a slow walk to explore the natural beauty of this place. There is also a swimming pool for you to use in the event that you want to cool yourself after a long day's walk. The Paddy Field before it is harvested and cooked to be eaten as rice. 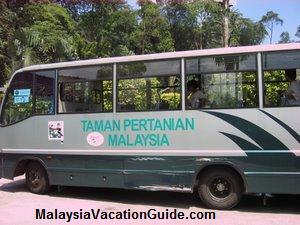 The complimentary bus service which is used to take visitors to various spots within the park. The cultural complex and traditional houses feature the architecture from different states of Malaysia. The houses in this complex has been fully refurbished after being closed for many years. It is now open for you to visit. 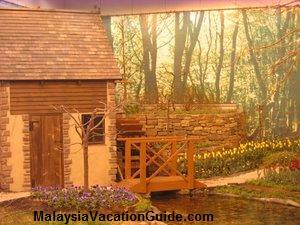 The four season house at the Taman Botani Negara is one of the top attraction here. The entrance fee is RM3 per adult (12 years and above) and RM1 per child (4 to 11 years old). Take the coach provided by the park and ask the driver to drop you at the entrance to the four season house. You will probably spend 15 to 20 minutes here. Winter season garden is exhibited from December to February. Spring season garden is exhibited from March to May. Summer season garden is exhibited from June to August. Autumn season garden is exhibited from September to November. The spring season at the four season house during the month of March to May. Watch the video of the four season house during the Spring Season below. 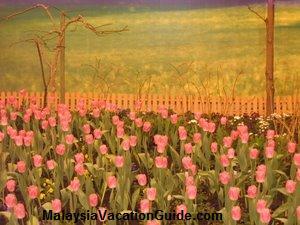 Notice the colorful tulips and flowers grown here. The lake in this park provides a sense of serenity and calmness away from the busy city life. There are jogging tracks that you can use around the lake. 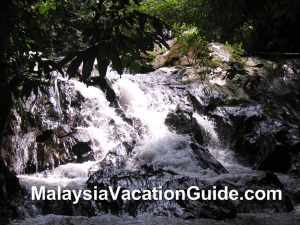 You will be able to see the fountain of water gushing up in the middle of the lake. The area around the lake is a good place for a time of picnic with your family. You will see some of the visitors using their fishing rods fishing around the lake. 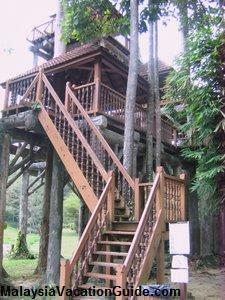 There is an observation tower near the lake. Be careful when you use it as some of the planks are not in their place. The tower does need to be maintained for it to be useful again. The viewing tower built beside the lake. The operating hours of the park is from 8:30am to 5:00pm Tuesdays to Sundays. It is closed on Mondays except when Monday is a public or school holiday. The address and contact number of the park. RM3.00 for adult 12 years and above.RM1.00 for children 4 to 11 years old. 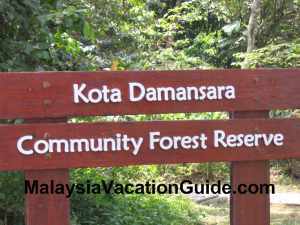 RM1.00 for visitors 55 years and above. 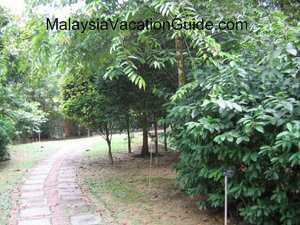 The lush greenery at the Malaysia Agriculture Park. Take RapidKL bus number 63 or 338 from Kuala Lumpur and stop at the bus station near Maybank building in Shah Alam city centre. From here, take a taxi to the park. The other way is to take the KTM Komuter train and disembark at Shah Alam Station. From here, take a taxi and you will reach the park in approximately 20 minutes time.